In honour of the first day of summer (today, duh! ), Dolce Vita is having a one-day sale that you don’t want to miss! So, if you have your credit card number memorized, now would be the time to put it to use. 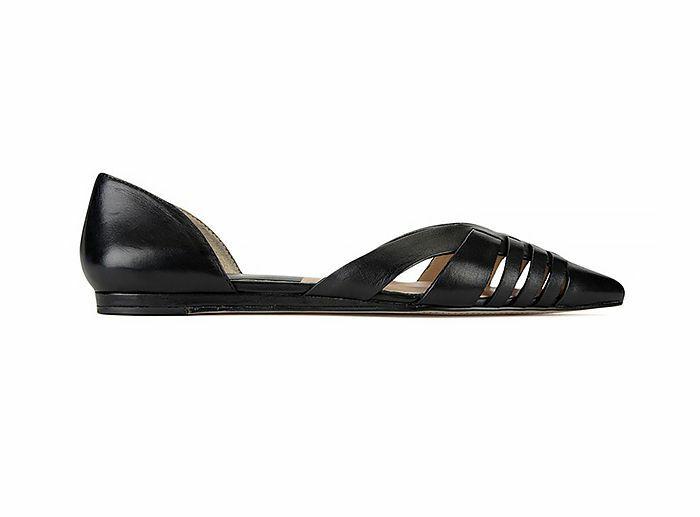 ?We love this updated, cutout version of the d’orsay flat. ?Colour-blocking shouldn’t stop at your feet. ?These are your shoes for every barbecue this summer. ?Pair these edgy ankle boots with a feminine white dress for an ultra-cool contrasting look. ?Can’t decide between booties and sandals? This is the shoe for you. ?Thanks to the ankle strap and oversized heel, you have comfort without sacrificing style in the slightest. ?These open-toe booties will carry you well into fall. ?We love the dueling neutral hues on these sandals. ?These colourful sneakers are bold and beautiful! ?Do you own grey jeans? They will go perfectly with these heels. ?A mini-heeled sandal is perfect for when you want a little extra (flattering) height, without looking dressed up.